Incidental music has always been a controversial matter: how important is it? Is it supposed to be noticed? How essential is it to the core of the film? As a fact, film scoring is one of the most revealing aspects of a filmmaker’s vision, so that the musical choices of a director can set new standards for cinema and composition in and outside film. But what happens when a director decides to cooperate with artists external to professional film scoring? Here is a list of classics that can answer the question. In 1983, Francis Ford Coppola adapted two novels from Susan E. Hinton in two closely related movies, “The Outsiders” and “Rumble Fish”. Both set in Tulsa in the 1960’s, the two films deal with the world of suburban gangs and basically feature the same cast. 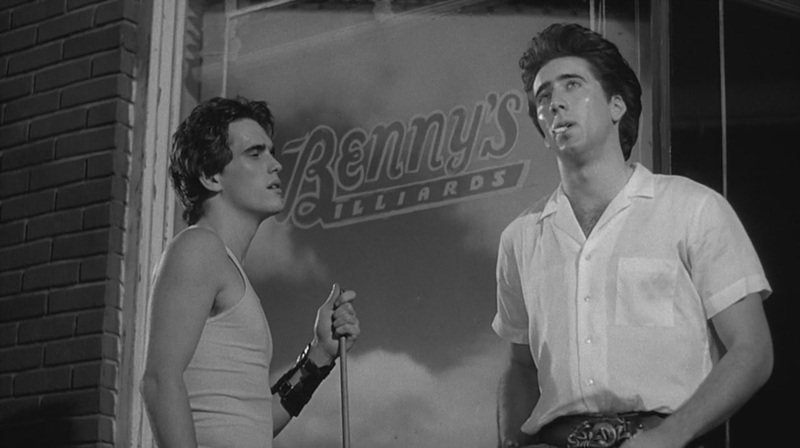 But unlike “The Outsiders”, which pays its tribute to Nicholas Ray’s “Rebel without a cause”, “Rumble Fish” is mostly a stylistic homage to noir film, being shot in a dense black and white with only some elements in red (such as the titular rumble fish). The musical choices are made accordingly to the differences in tones and writing. For “The Outsiders”, Coppola hired his father Carmine, who composed lyric and old-fashioned themes for the film; for “Rumble Fish”, instead, the director chose Stewart Copeland, known as the drummer of British rock band The Police. In those years Copeland was experimenting with Musync, by which he could mix concrete sounds in rhythmic and melodic patterns. For “Rumble Fish”, Copeland mixed the sounds of various clocks (a recurring object in the film), stressing the psychological pressure felt by characters dealing with time. The result is a subtle, estranging soundtrack which enhances the tension of every scene. A specialist in crime movies, Italian director Fernando Di Leo produced between 1970 and 1972 his renowned Milieu Trilogy, which included “Manhunt” (“La Mala Ordina”),“The Boss” and, between them, “Caliber 9”. The story of Ugo Piazza (Gastone Moschin), a criminal recently released from prison and striving to start a new life with the woman he loves (Barbara Bouchet), is permeated by a melancholic mood which adds a lot of depth to an otherwise classic plot. For the occasion, Di Leo called his collaborator Luis Bacalov to score the film, whose themes were ultimately arranged and performed by Italian progressive-rock band Osanna. The final soundtrack is the outcome of the band’s variations and improvisations on Bacalov’s themes, with the support of a symphonic orchestra. As a mixture of symphonic crescendos and jazz-rock improvisation, the music for “Caliber 9” is great at exalting the mood of the film’s environments – foggy streets and avenues, night-clubs and bleak suburbs, with an energetic performance of the whole band; other themes, instead, played by flute and synths, give some scenes a somber connotation which mirrors the inner struggle of the protagonist with his past life. 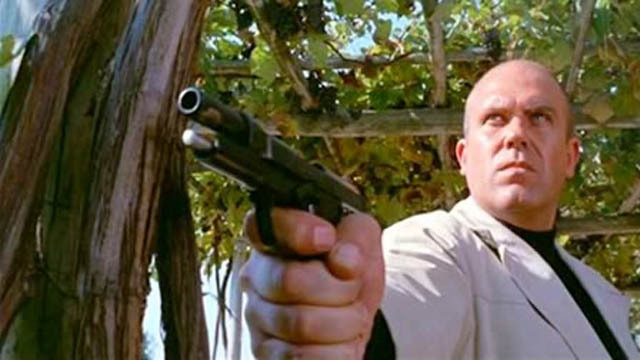 The score by Osanna is today regarded as one of the best soundtracks of Italian crime film, and it still is a top classic in the band’s live exhibitions. 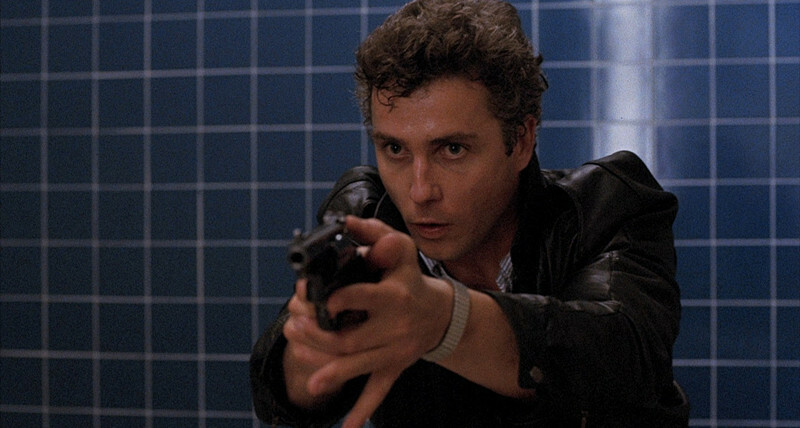 William Friedkin might be a discontinuous artist, but his taste for music never missed a shot, as it is proved by the music for his crime movie “To Live and Die in L.A.”. To score the film’s journey through the world of counterfeiting in modern Los Angeles, Friedkin joined forces with American synth-pop band Wang Chung. The soundtrack made by the British combo is a catchy combination of typical resonances from the 80’s, rich electronic patterns and exotic immersions, perfectly matching the film’s colorful portrait of criminal underworld. The peak of this score is of course the title track, composed by the musicians without the director’s instructions: a melancholic and elegant piece of music that fully expresses the film’s emotional set, also becoming a hit in musical charts in 1983. After hinting to the students’ protest late 1960’s in his notorious Blow Up, Michelangelo Antonioni was ready to face the events involving the new instances of youth. 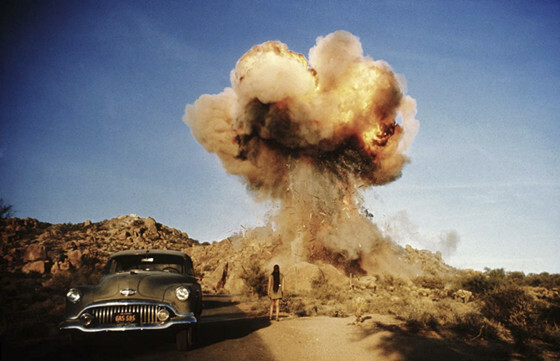 Released in 1970, Zabriskie Point was immediately raised controversies, with its ambiguous analysis of juvenile utopia and American consumerism. For this film, Antonioni asked progressive rock band Pink Floyd to compose a score; their cooperation, however, was not easy, with the band being ultimately dissatisfied with the finished film. Regardless of the troubled cooperation, the score for Zabriskie Point is one of the best works by Pink Floyd, a fascinating set of themes marking the dominant mood in the film’s most notable scenes: the pulsating drums of the head credits sequence, the lyrical simplicity of the themes for the the Death Valley sequence, the spatial ferocity of the notes accompanying the final explosion, all of them show the talent of a band destined to change musical attitude in the following decades. Dario Argento has always displayed a sharp intuition for music, a refined taste which helped him make his greatest films what they are. In 1980, three years after “Suspiria”, Argento released “Inferno”, which he intended to be the second installment in his Three Mothers Trilogy. Though being close to “Suspiria” for its aesthetics and themes, “Inferno” is a fully autonomous work with specific narrative and mood. As a crafted director, Argento understood his inspiration needed something new for his inspiration; thus, he commissioned the soundtrack for Inferno to Keith Emerson, known for his successful efforts with Emerson Lake & Palmer. 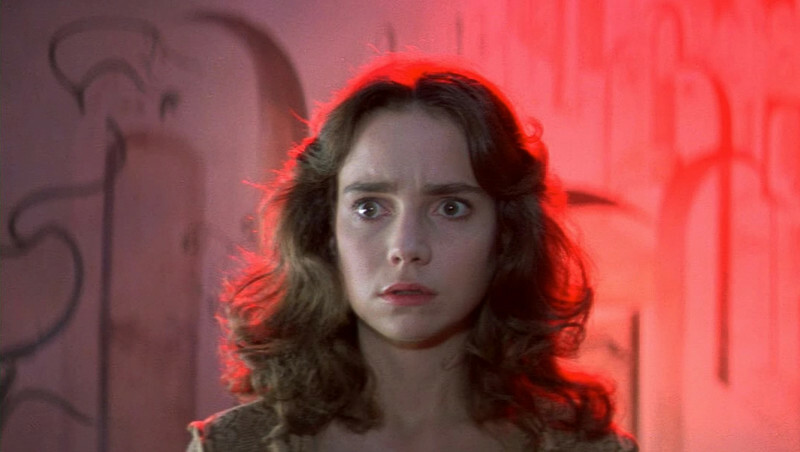 While the score for “Suspiria” composed by Goblin is almost unbearably scary and unnerving, Emerson’s music showcases a delicate and romantic tone, a sort of melancholy permeating even the musicians’ most furious rides into the territories of progressive rock. The feel of decay is fully expressed in the soundtrack’s main theme, the melody of which is lead by Emerson’s gentle piano progressions, while his inventiveness is fully displayed in the “Taxi Ride” theme (a disfigured rearrangement of Verdi’s “Va’ pensiero”) and the baroque grandiosity of “Mater Tenebrarum”.